In transitioning to the Cloud partners need to focus on strategy and place their bets: decide what role they want to play, either selling services, selling a third party XaaS offering, rebadging an offering, or building and running their own XaaS offering. That’s one of the key messages delivered by Channel Dynamics’ director, Moheb Moses, who was the guest speaker at the first of the ARN Insight Luncheon series which focused on Transitioning your channel to the Cloud: Climbing the Slope of Enlightenment. 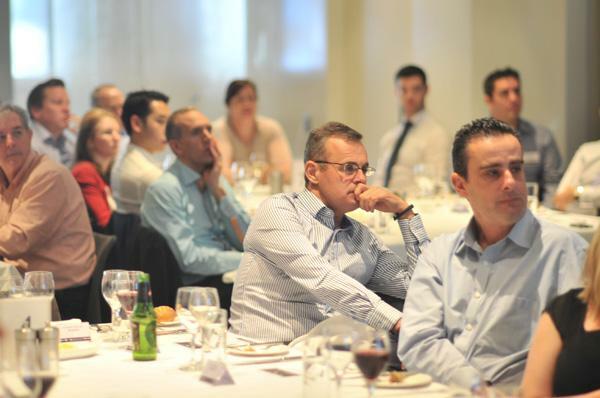 Moses answered some key questions to a full house of 85 at the Establishment in Sydney in terms of what the transition to the Cloud means for partners, what vendors need to think about, and where distribution fit into the equation. He said there’s no question Cloud computing is a powerful force and one that’s here to stay. Analysts estimate the global Cloud computing market will reach $US121.1 billion by 2015. Indeed, partners need to start preparing for Cloud. In terms of strategy, Moses referred to a popular gambling analogy: place your bets. Partners need to decide what role they want to play, whether they want to sell products (hardware and/or software) and how they decide to sell the services. “It is all about timing; it is more than that, it is actually all about strategy – and strategy is just a fancy way of saying, ‘the big bet,’” Moses said. “Do you want to sell software or hardware, sell services, sell third party offerings, rebadge one, or rebuild one? And those are the decisions that we need to make. In placing your bets in the Cloud, he said partners particularly need to offer: XaaS (Software/Platforms/Infrastructure as a Service) via the Internet; rapid scalability and elasticity (increase/decrease); multitenant sharing of resources across users; auto upgrades, maintenance and management; device and location independent; on-demand self-service; and pay as you use (low entry/exit costs, no contract). In adopting a winning strategy, collaboration with other partners might be the way to go, he said. “One thing we will see more of in our industry – and I know it has always existed – is greater collaboration. We will see VARs working together with Cloud integrators with service providers with managed service providers and with telcos, and we will talk more about the ecosystem,” he said. Meanwhile, as the industry shifts to the Cloud, the technology becomes less relevant, while the business model becomes much more important. As such, he said vendors need to eliminate the ‘try-to-do-everything’ model’ – a strategy that is certain to fail. Certainly, the role of the channel has changed. It is no longer a linear model, but a cluster model. “As the Cloud solutions become more available from vendors, and become more sophisticated, the role of partner will expand. The role the channel plays becomes an important part – it will be different because of the complexity.” It won’t be a traditional linear model [vendor to distributor to VAR], he explained, but rather a cluster model with multiple connections and criss-crossing roles and relationships. “Distributors will do things that perhaps distributors weren’t doing before. Vendors will do things that they weren’t doing before. Customers will do things that are different. And for a vendor, that means we will have a new sales merchant, meaning the way we sell will be different as well. We used to sell to IT, we now sell to business,” he said. Customer analysis: What do your customers actually want? Strategic: Resell, rebadge, build or collaborate? Business Model: What new revenue streams? What disappears? Financial: Cash flow and working capital requirements. Operational: Billing, automation, risk management, legal. Organisational: Separate sales teams? Separate Cloud practice? Skills development: Staff training and partner enablement. Reward systems: Compensation plans and partner programs. Customer lifecycle: Touch points, preventing churn, cross selling. Channel ecosystem: Alignment with the right partners.